This is the most anticipated Masters that I and most people can remember. The most common reason is Tiger Woods. His return to the PGA Tour and his performance has the entire golf world buzzing. He nearly won at Valspar, and was in contention at the Arnold Palmer Invitational until he put it OB on 16. That has many believing he is going to win the Green Jacket again. He is the betting favorite, and he very well could do it. It would not surprise anyone, and might be the best thing that has happened to golf since Sergio Garcia winning The Masters a year ago. 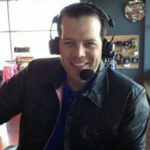 What about Sergio Garcia? The defending champion is a new father, and has flown under the radar so far in 2018. He had a nice showing at the WGC Dell Match Play a few weeks ago in Austin making the sweet 16. Matter of fact, Sergio has finished in the top 10 in his last three events on the PGA Tour, and won in Asia this year. He’s playing great, pressure free golf, but I think most people will be picking the other Spaniard, Jon Rahm, rather than Garcia. Rahm would be a good pick too. He crushes the ball off the tee, has soft hands for a short game, and has become one of the top players in the world in a very short time. He won the Career Builder Challenge back in January, and has been in contention in other tournaments. But you have to putt great at Augusta, and Rahm ranks 32nd in strokes gained putting this year on the PGA Tour. More recently, I’ve witnessed him missing some putts that he usually makes and has reacted poorly to it. I think he will win a green jacket in his career, but not this year. Rahm and Garcia have wins under their belt this year. So do the other top players in golf. Justin Thomas has won twice, Justin Rose, Dustin Johnson, Rory McIroy, Jason Day, Bubba Watson (twice), and Phil Mickelson have all found victory this season. Seeing Phil, Bubba, and Jason Day win again has injected even more fuel to the hype for this week. The lefties (Phil and Bubba) have multiple green jackets and are putting great this year. I’ve witnessed it in person, watching Phil comeback for a playoff win in Mexico, and Bubba make everything in Austin. The only top players that hasn’t won this season on the PGA Tour is Jordan Spieth. He is coming off a 3rd place finish in Houston, but his putter has let him down this season. He is an astonishing 185th in strokes gained putting (-.42). Tee to green he is 3rd. That means his ball-striking has been great, but his putting, well un-Spieth like. He is a great player, a guy who expects to win multiple times each year. He is highly motivated to win, and I believe will be a big factor on Sunday afternoon. Spieth’s good buddy, Justin Thomas will also be in contention. He is every week on The Tour, and it would be no surprise if he won. The same can be said for Dustin Johnson, the number one player in the world, but he had a poor showing his last few tournaments. Remember he didn’t compete last year following a freak accident the day before, very unfortunate since he was the far and away favorite. His last two appearances have resulted in top 10’s, included a T4 in 2016. Jason Day has never won The Masters, but he has been close. He was the top player in the world for a brief time, but injury and family illness have curtailed him. It was great to see Day win at Torrey Pines, and he’ll have plenty of folks rooting for him this year. The same can be said for Justin Rose. He is as classy as they come, and it was tough to see him lose in a playoff to Sergio last year. It was his second runner-up finish at Augusta, and I expect him to be in contention again this week. I mentioned almost everyone who could win, and even left out a few names that also have a chance. It’s not easy to pick one guy to win, but I will go with Phil Mickelson. Lefty is in great shape, has a recent win along with a 2nd and 3rd, ranks third in birdie average on tour, and is 2nd in strokes gained putting. Nobody knows the greens at Augusta National better than Mickelson. 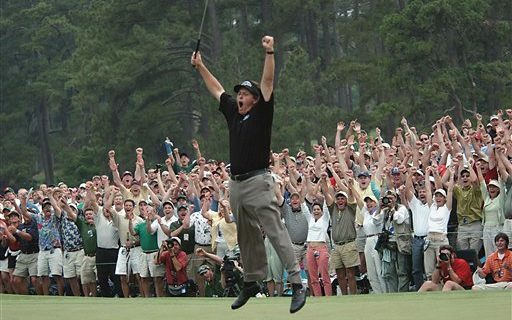 There is also extra motivation for Phil, because he would become the oldest player to win the Masters at age 47, beating Jack Nicklaus, who was 46 when he was his final Major.